If you are involved in a serious car accident, chances are you are suffering from injuries and receiving medical treatment. However, when it comes to compensating you, insurance companies are not interested in paying you top dollar for your case. Instead, they are only interested in saving themselves money and keeping as much of it in-house as possible. In an effort to resolve some car accident cases, the insurance company will offer the accident victim just enough money to make the case go away. 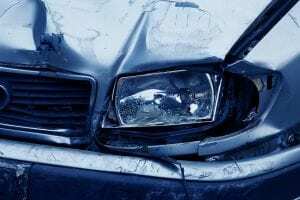 It may even be necessary to send a draft lawsuit to the insurance company’s adjuster – or actually file the lawsuit – in order for the insurance company to take the car accident case seriously. At Bice Law, our experienced legal team understands that insurance companies are not out to help you following a car accident. We are also aware of the common arguments insurance adjusters make in order to avoid paying you the money you deserve. Our attorneys are fully to prepared to negotiate aggressively on your behalf and take the necessary legal steps to maximize your recovery. In car accident cases, many insurance companies will try and turn preexisting injuries against you. Specifically, adjusters may argue that your preexisting injury or degenerative condition is the actual cause of your pain and suffering – not the car accident you were involved in. A Carolina car accident lawyer can turn that argument around. He or she can allege that although you may suffer from a preexisting medical condition or injury, the car accident exacerbated your condition, making it significantly worse. If you have significant gaps in your medical treatment following a car accident, insurance adjusters will likely bring that up during settlement negotiations. The adjuster may argue, for example, that given these gaps you were not injured to the extent you are claiming. If you have been involved in a prior or subsequent car accident, the insurance company may try and use those to explain away your current symptoms or injuries. However, just because you were involved in a prior or subsequent accident does not mean that you were not injured in the current accident. In the case of prior accidents, minor injuries can resolve quickly. Therefore, you may have been asymptomatic during the time immediately preceding your current accident. If the insurance company is trying to lowball the settlement value of your case, you need an experienced car accident lawyer on your side. The skilled attorneys at Bice Law can advocate for your right to reasonable and fair compensation. To schedule a free consultation and case evaluation with an experienced Carolina car accident lawyer, please call us today at 704-243-8778 (North Carolina) or 803-639-8777 (South Carolina), or contact us online.